A few weeks ago I asked Sophie Orme at Pan MacMillan if she had any books that I could review. She asked if I wanted to stick to my usual genre, Police Procedural, Spy, anything legal, and I said no I’ll give anything a go. That’s how I started of reading my first book with a tag line of “Sweeping epic romance, war-torn drama” on the front page. 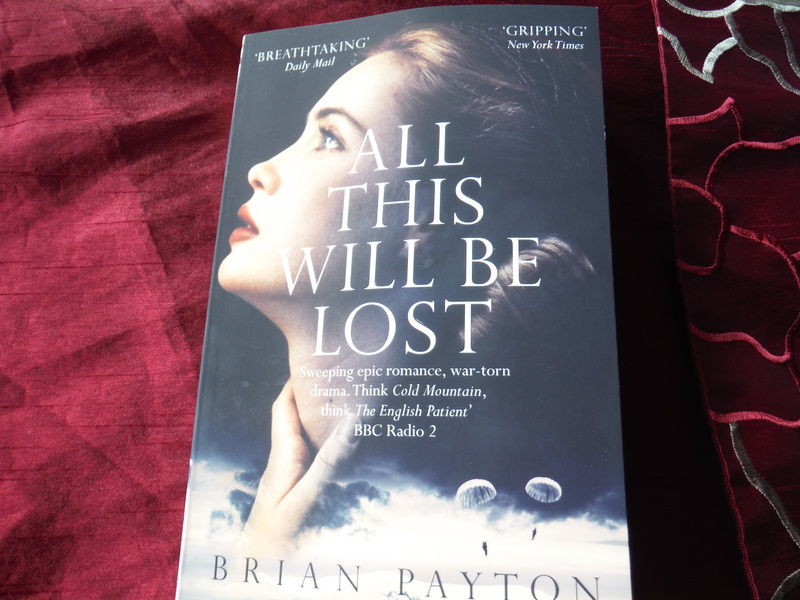 All This Will Be Lost by Brian Payton starts off like many good adventure books with 2 people parachuting into enemy held territory after their plane has been shot down. The territory in question this time is the Alaskan Aleutian Islands, and the enemy is the occupying Japanese Army of the Second World War. The two are an unlikely pair, a young aviator from the USAF, and one of the books protagonists John Easley, a journalist. The second protagonist is John’s wife Helen. The story alternates between the two characters, Johns struggle to survive behind enemy lines, and Helens search for her husband who she refuses to believe is dead. This book kept me reading well into the night, and I picked it up to finish it as soon as I woke up. It’s not what I expected. There is no mushy love. The love is the love between a woman and the husband she is scared to admit she might have lost; the same love that drives the husband to survive. There is another relationship in the book, the one that builds between John and the airman he survived with. The battle between the two initially to establish who is the leader becomes an almost brotherly reliance on each other for survival. There are twists and turns along the way that caught me by surprise. I am not sure whether that’s usual in genre but this story is bought alive by the fact that nothing can be taken fro granted. It’s not a long book at about 327 pages but it packs all of those pages with a very enjoyable tale. I try to learn something from all books. With the internet it is easy to research something you read in a book. This little book introduced me to a part of the Second World War that I had never heard of. I have now, and I feel sorry about my ignorance of it before. Thank you for expanding my knowledge. I love books by this Author. Malcolm Mackay writes from the other side of the law to most. The main protagonists in his books are criminals, they are not people you want to like, but somehow you still end up routing for them. 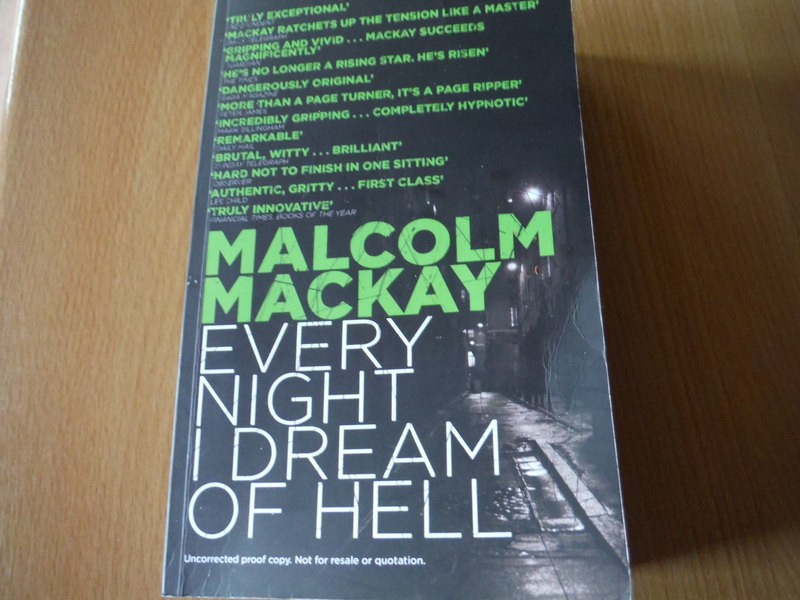 The book is set in Glasgow amongst an underworld that has recently been disorganised by one of the leaders being imprisoned. The main character, Nate Logan, is an enforcer for the gang, a violent man with his own rules and values. The core of the story is an attempted take over of the city’s underworld and the leadership of the gang Logan works for. In a world where nobody can be taken at face value Logan finds himself trying to work out who the enemy is. The book is a page turner. I’ve used the words morals before but McKay’s books test them like no other. There is no good guy in this story, just bad ones. The tale is full of twists and turns. Who would you trust in the underworld of one of Britain’s most gang ridden city’s. In this book even their rule book and code of honour is ripped up. If you want an easy read this is not for you. I read it on two long train journey’s and found that the time had flown by but the most read pages were the 5 at the front, the list of characters with a brief over view of who they are. This is not a criticism, in fact I think more authors should do the same, but without those pages I would have struggled to keep up with who was who, and where their allegiances were. I don’t use a star ratting or anything like that. I rate a book by who I would recommend it to. In this case I wouldn’t hesitate to recommend this book to any of my friends.